Formed in Perth in 1989, The Blackeyed Susans have built a reputation for their moody romanticism and op-shop stylings. Over the past twenty odd years they have toured the world, played with the likes of Johnny Cash and Leonard Cohen and released countless albums, singles, vinyl and CDs of strange and beautiful music. A retrospective box set entitled Reveal Yourself was released in 2009 charting the band’s illustrious history. Yet none of this was by design—at least not at the beginning, when members of The Triffids, Chad’s Tree and Martha’s Vineyard formed a holiday band to play a handful of shows one particularly hot Western Australian summer. The group endured, long after that summer was gone, relocating to Sydney and then Melbourne as it galvanised around singer Rob Snarski and bassist Phil Kakulas, along with a swirling array of famous friends. Boasting members of The Cruel Sea, Dirty Three, The Jackson Code, Augie March, The Drones and Hungry Ghosts, the group’s credits read like a who’s who of Australian alternative music. The line up solidified in the mid to late 90s as The Susans enjoyed success, in Australia and abroad, on the back of watershed albums All Souls Alive and Spin The Bottle. Classic songs such as ‘A Curse On You’, ‘Smokin’ Johnny Cash’ and ‘Blue Skies, Blue Sea’ affirmed the group as impressionistic storytellers with a bent ear for melody and atmospherics. Much touring into the next decade ensued before the band returned to a more ‘project’-based approach in the mid-2000s. Along with Snarski and Kakulas, the current group features long time members Mark Dawson (drums), Kiernan Box (keyboards), JP Shilo (guitar/accordion) and Graham Lee (pedal steel). 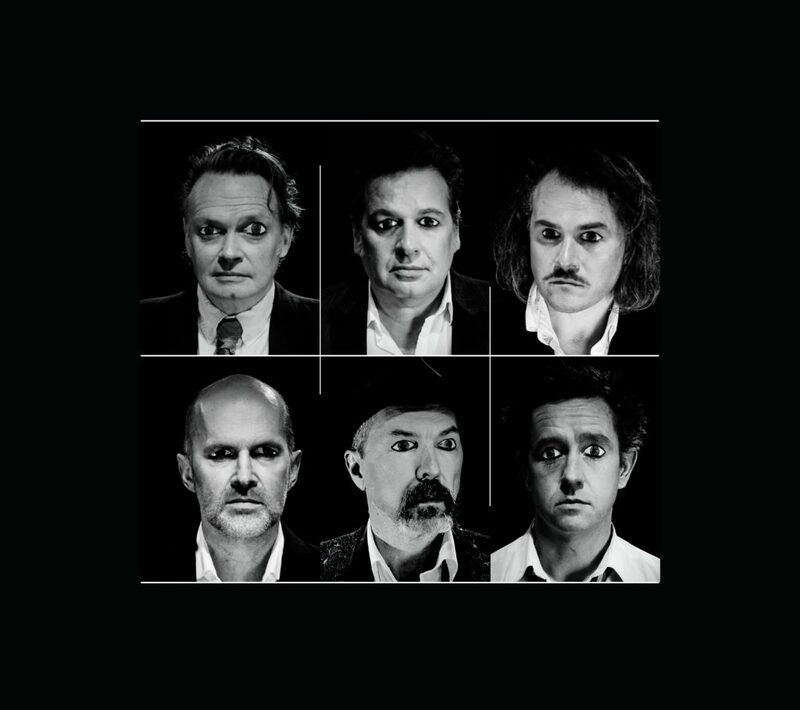 In 2017, The Blackeyed Susans released their seventh album, Close Your Eyes and See to rave reviews from fans and critics alike. Released simultaneously with Rob Snarski’s memoir, Crumbs from the Cake, it was heralded as a creative renaissance for the band, with a sell-out national tour following mid-year. In December 2017 The Blackeyed Susans will play their annual Christmas shows at the Caravan Music Club on Friday 15 December and The Spotted Mallard on Saturday 16 December and Sunday 17 December with special guests The Killjoys Trio. This will be the ninth year The Susans have dusted off the tinsel and fired up the Christmas lights, for what has now become a Melbourne tradition. As usual, there’ll be a smorgasbord of Christmas related songs, including choice cuts from their latest album and the best of their extensive back catalogue.